Find the best ways to celebrate your 16th birthday with this list of fun, creative, and cool 16th birthday ideas! 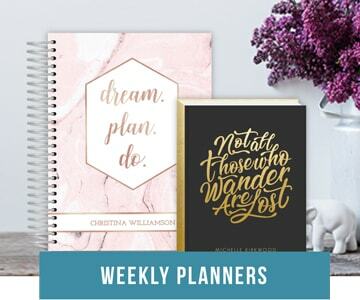 With 16 ideas for boys and girls turning 16, covering everything from go kart racing to murder mystery theater to sweet 16 invitations and everything in between, this list has something for everyone, no matter their gender, taste, or style. Speed into your sixteenth birthday at your favorite go kart track with friends and family. Beyond being lots of fun, entertaining, and a great way for the birthday honoree to gain experience behind the wheel, holding your sixteenth birthday at a go kart track can also be helpful to parents, since they won’t have to worry about cleaning up or prepping their home for their teen’s sweet sixteen celebration. Get revved up for this 16th birthday idea by checking out this list of The 10 Coolest Go Kart Tracks In The World. 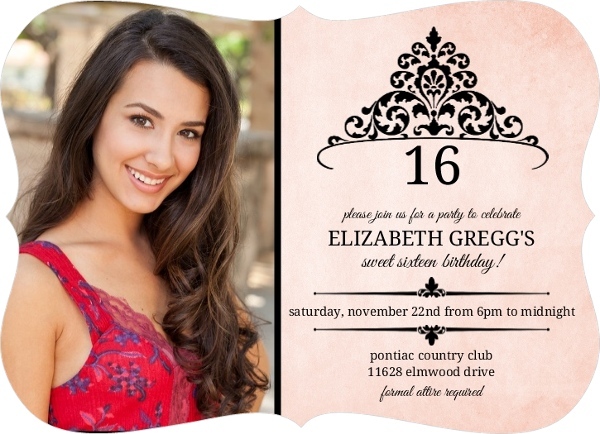 Celebrate your 16th birthday with costumes, theater, and a murder to solve at a murder mystery 16th birthday party. You can plan your own murder mystery party by purchasing a kit online and assigning roles to guests or you can hire professional murder mystery companies to create a game for your party and hire actors to participate. The later can make things easier, because you won’t have to worry about organizing a game. Plus, the actors will play the suspects and you and your party guests can enjoy uncovering clues, playing detective, and solving the mystery. Celebrate your 16th birthday while defying gravity with friends and family at a nearby trampoline park. With a massive room with floors and walls completely covered with trampolines, guests are free to bounce to their heart’s content. Sounds like fun right? Learn more about trampoline parks in this USA Today Trampoline parks grow by leaps and bounces post. Trampoline parks are a new concept, but they are becoming more and more popular, so do a quick Google search to see if there’s one open near you. For the daring birthday honoree, experimenting with an extreme sport may be a great way to celebrate turning 16. At 16, you’re finally old enough to skydive, with your parents consent, so if this is something you’ve been itching to do, you can give it a try on your sixteenth birthday. If that’s not for you, consider zip lining, bungee jumping, zorbing, or kite surfing instead. Celebrate the fact you’re only two years shy of adulthood with an epic camping trip. Invite all of your friends and family; make it a weekend excursion, stay just for a night, or keep it as simple as a day hike. Find inspiration in these lists of the 28 Best Places To Pitch A Tent In The US and The Best Hiking Trails In The United States. You can never go wrong with a sweet sixteen birthday party. 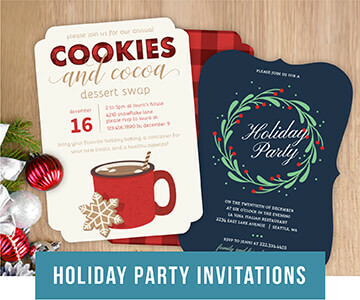 Since sixteen is such a milestone age, try making your celebration more interesting with a unique 16th birthday party theme. 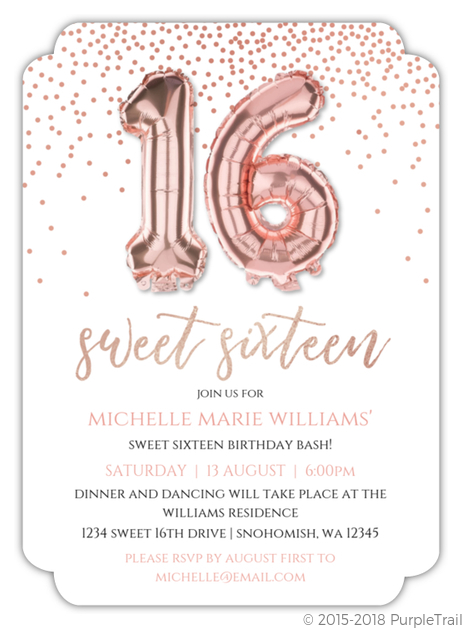 Make your celebration a sweet sixteen BBQ, 16th birthday luau, sweet sixteen pool party, or sweet sixteen costume party and make your own sweet sixteen birthday invitations to go along with your party’s motif. Get creative and try tying your interests into your celebration in some way. A birthday guestbook is of big importance if you’re holding a formal sweet sixteen party. 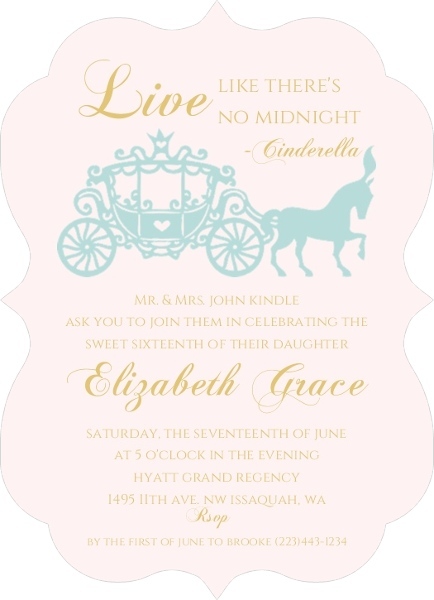 Pink And Black Princess Tiara – Sweet 16 Birthday Invitations by PurpleTrail.com. From roller coasters to water slides, games, and fair food, amusement parks are filled with exciting, fun activities that will make your 16th birthday unforgettable. Find an amusement park that’s worthy of your sixteenth birthday celebration. Gather friends and family and enjoy turning 16 at a place designed for fun. If you’re a sports fan, consider celebrating your 16th birthday at a sporting event, like a professional football game, hockey game, basketball game, or soccer game. Although this may depend on where you live and the time of year, it’s something any soon-to-be 16 sports fan should think about. Seeing your favorite team play on your 16th birthday will make it unforgettable. Get a bit of exercise while enjoying yourself with friends and family on your 16th birthday on a miniature, frisbee, or traditional golf course. Golf can be fun for experts, beginners, or even those completely new to the game, but if you feel you and your guests are too inexperienced for traditional golf, try your hand at miniature golf instead. If that’s too easy, check to see if there are any “pitch and put” courses in your neck of the woods, which are a step up from miniature golf, yet easier, shorter, and require less strength and skill than tradition golf. Fisbee golf is another golf option that’s fun, challenging, and easy to pick up on the spot. Whether there’s an indoor rock climbing gym in your area or you know a place you can try it for real in nature, rock climbing can be a memorable, fun way to celebrate your 16th birthday. To make your 16th birthday more interesting, hire a guide to take you and your friends out on a weekend rock climbing excursion. Spend the weekend learning the basics, trying it for real, and bonding with friends in nature. Turn sixteen while traveling somewhere you’ve always dreamed of going. Coordinate the trip with a group of friends and family. Drive there or make your trip more interesting getting there by boat or train. Celebrate, bond, and create lasting memories with your friends and family in a new place on your 16th birthday. If you haven’t had a chance to surf, give it a try. Beyond being a great means exercise, many believe catching a wave’s a life-changing experience. If you don’t live near the ocean, consider taking a trip to a warm destination with waves and surf instructors for hire to celebrate your 16th birthday. Karaoke is a cheap and easy way to celebrate your 16th birthday. 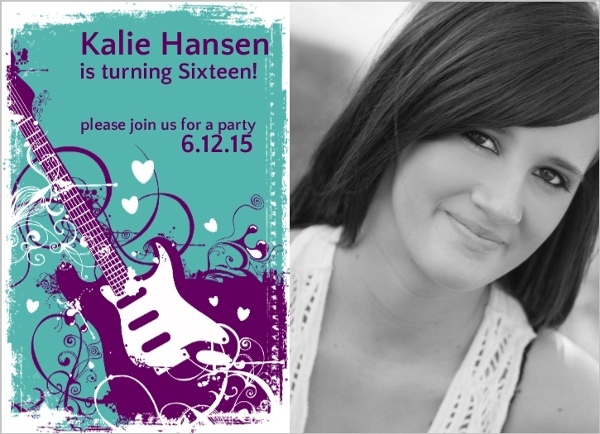 Set up your 16th birthday party at a karaoke lounge or purchase a karaoke machine and party at home. Try including some of these songs in your lineup: Ten Sweet (and not so) Songs for Little Sixteen. Turquoise And Purple Grunge Guitar Sweet Sixteen by PurpleTrail.com. If you’re lucky enough to have a summer birthday, consider turning sixteen while relaxing with friends on a river. You can purchase rafts yourself or you can rent them. Do a Google search to see if there are any rental facilities in your area. Often times you can find a water sport rental place near a river, which will provide you with rafts and transportation to and from the beginning and end of the river. Do you love music? Have a favorite band? See if they’re on tour so you can see them live on your 16th birthday. Concerts or music festivals are great places to celebrate your 16th birthday. Beyond offering live entertainment, they also feature a lively, upbeat crowd of people who are usually in the mood celebrate. Horseback riding can be lots of fun and a great way to explore the outdoors, but if you’re interested in celebrating your sixteenth birthday in a more relaxing way, try taking a horse and carriage ride instead. Carriage tours are available in most cities and rustic locations offer them too. Will your 16th birthday take place in winter? 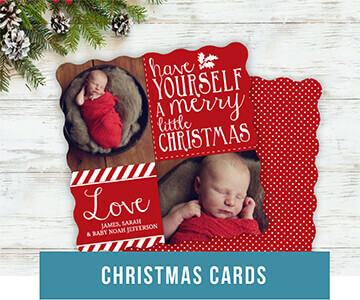 See if businesses in your area offer horse drawn sleigh rides. Hopefully you found these 16th birthday ideas helpful!